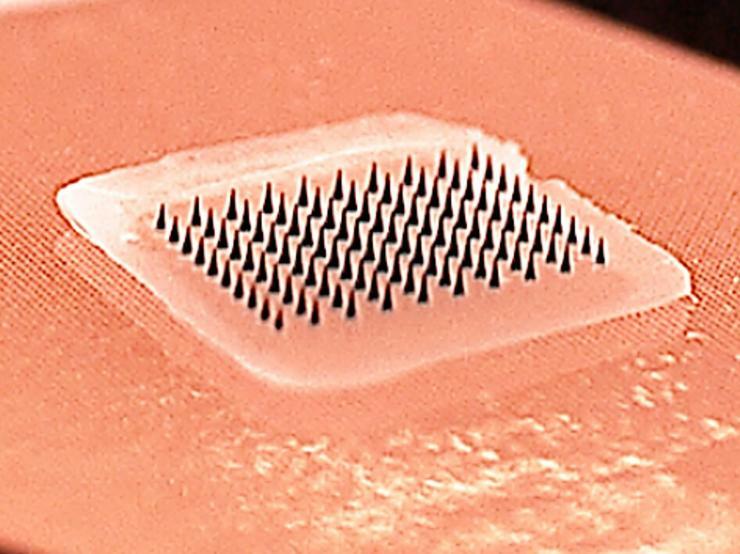 This close-up image shows the microneedle vaccine patch, which contains tiny needles that dissolve into the skin, carrying vaccine. 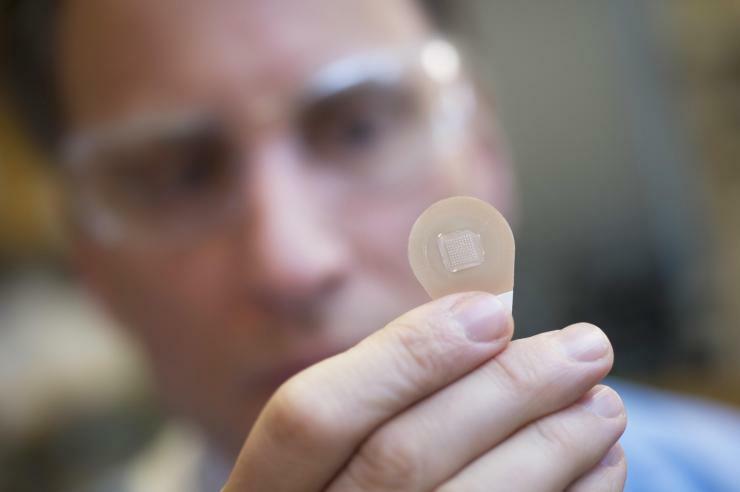 A majority of study participants said they would prefer to receive the influenza vaccine using patches rather than traditional hypodermic needles. “From the very start of this project,” said Prausnitz, “our team at Georgia Tech has been working with the Emory team to develop the microneedle patches, and the success of the project has been due to the strong collaboration between Georgia Tech engineers and the bioscience and medical experts at Emory.” Prausnitz holds the J. Erskine Love Jr. Chair in the School of Chemical and Biomolecular Engineering. 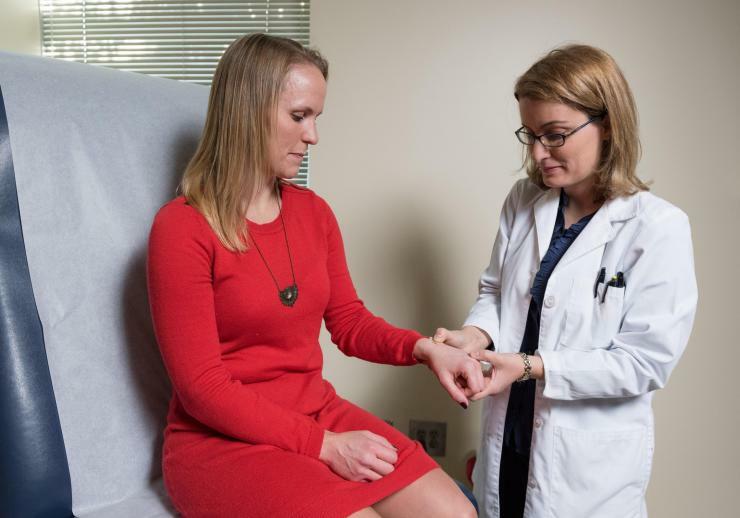 Prausnitz and several other Georgia Tech researchers are inventors of the microneedle patch technology used in this study and have ownership interest in Micron Biomedical. 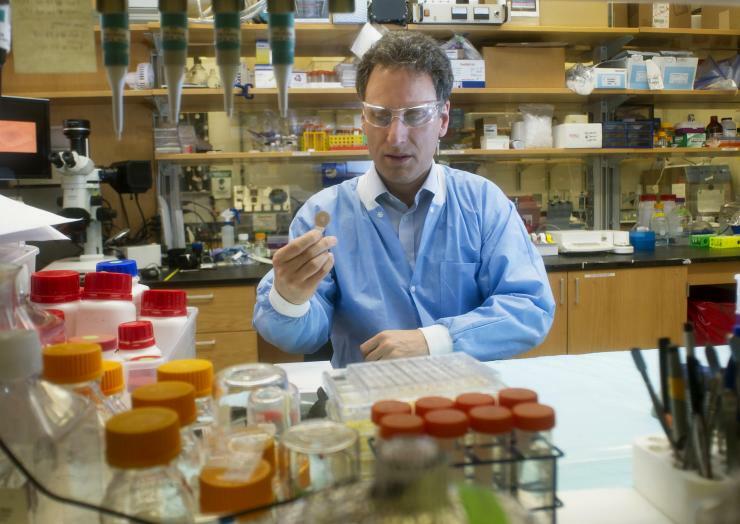 They are entitled to royalties derived from Micron Biomedical’s future sales of products related to the research. These potential conflicts of interest have been disclosed and are overseen by Georgia Institute of Technology and Emory University. Media Relations Contacts: John Toon, Georgia Tech (jtoon@gatech.edu); 404-894-6986) or Holly Korschun, Emory University (hkorsch@emory.edu); 404-727-3990. This close-up image shows a microneedle array containing influenza vaccine. 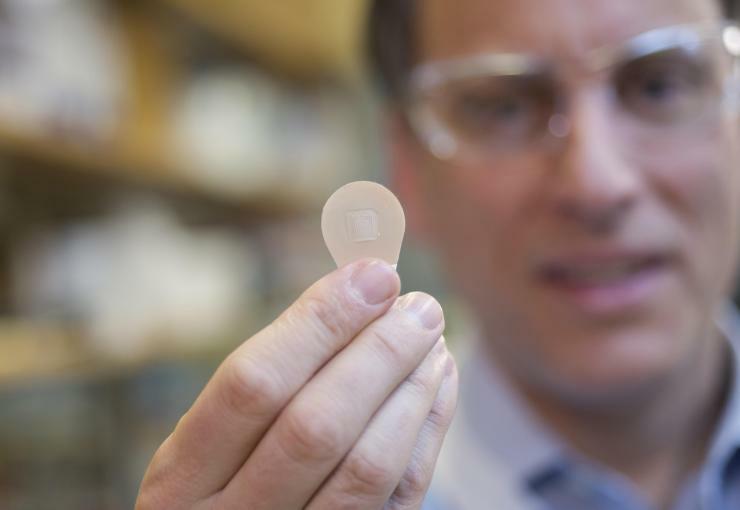 When pressed into the skin, the tiny needles dissolve, carrying vaccine into the skin. 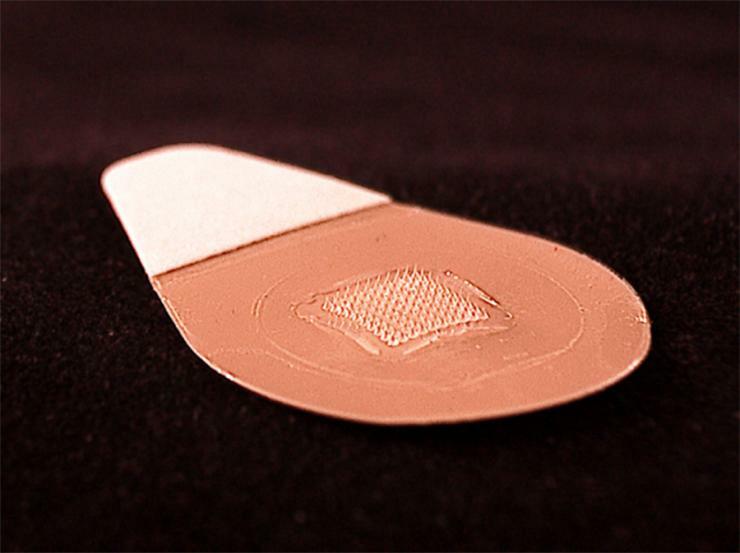 A majority of study participants said they would prefer to receive the influenza vaccine using patches rather than traditional hypodermic needles.